Brand new to the market, this apartment will not last! 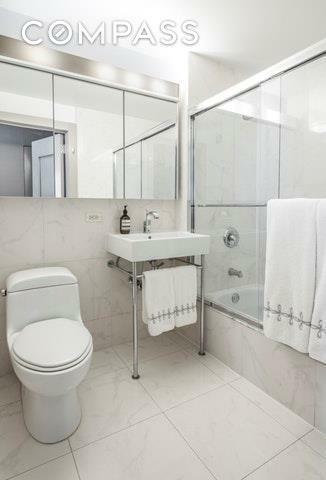 Welcome home to this spacious, sunny and chic alcove-studio with an oversized private terrace. 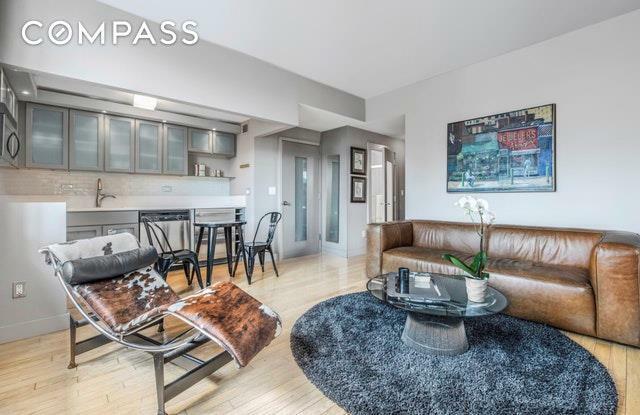 Prime West-Chelsea location, steps away from the Highline, art galleries, Chelsea Market, Chelsea Piers, Meat-Packing District, Hudson River Greenway, the Whitney Museum and internationally acclaimed shopping, dining and nightlife. This bright, sunny and pin-drop-quite home features breathtaking and open-city-views, high-ceilings, wood-plank floors, and a large open floor plan. The apartment has been upgraded with many high-end features including two custom California-Closets (in addition to lots of extra hide-away ) and updated kitchen cabinetry and quartz countertops. 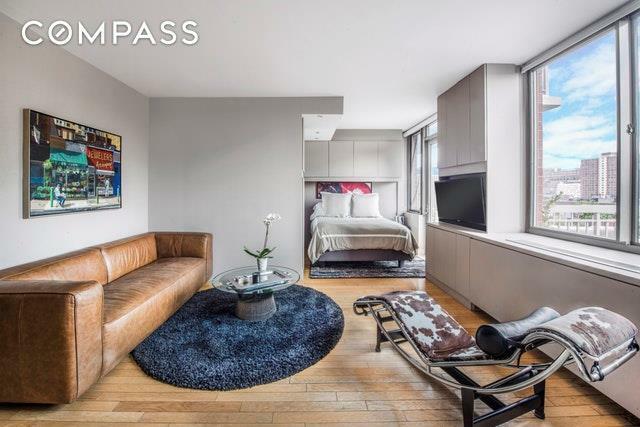 This apartment has it all! Lovely Southern light shining in all day from the oversized windows. Just imagine waking up and enjoying your morning coffee on your private terrace or hosting a social soire. Dont miss out on this rare opportunity to invest in one of the fastest growing areas in manhattan. NO BOARD Approval, pet and investor friendly. The Marais Tower is a 16 Story, white-glove, luxury full service Cond-Op. Unlimited subletting is permitted! 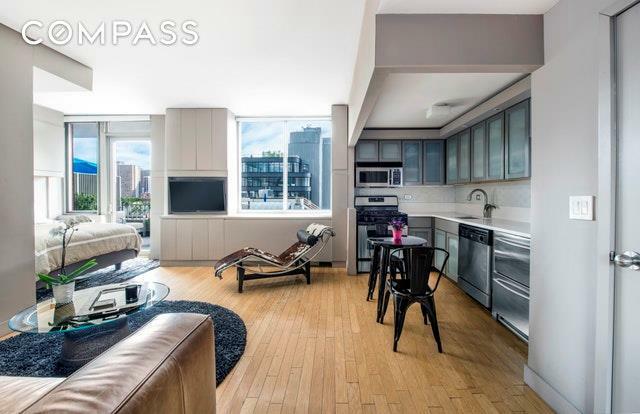 Amenities Include: Live-in superintendent, 24/7 doorman, a common roof-deck with spectacular views, bike room, common courtyard and laundry room.Currently there is a tenant in place until September. Listing courtesy of Brad Mahlof of Compass.